Venture PowerSports gear features the latest in innovation and heating technology enabling you to create your own personal micro-climate with ease. 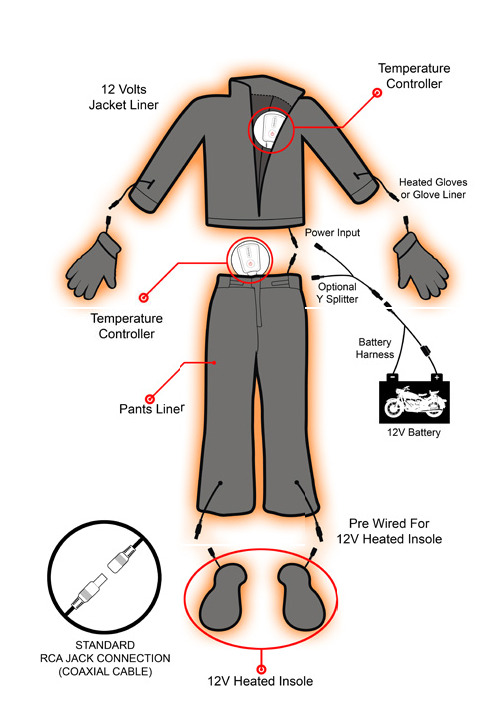 Designed to be powered by a 12V battery, you can connect your Heated Insoles to a motorcycle, snowmobile, ATV, or scooter for endless heated comfort. Keep your toes warm and your feet comfortable with soothing warmth while out on a ride. 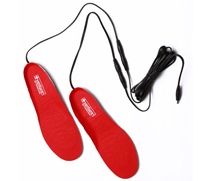 Extend the riding season long into the cold months with Heated Insoles. 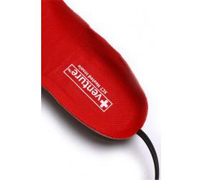 You will never have to deal with freezing toes again! 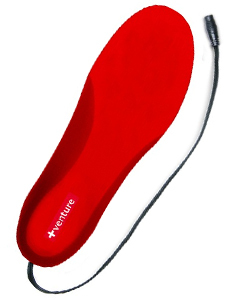 The heating elements are positioned throughout the entire insole which allows warmth to be circulated within your foot to give the comfort and protection you need. 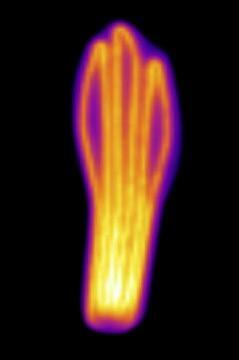 Your body's circulation will spread heat and provide a gentle, warming sensation throughout the entire body. With Xtreme Comfort Technology, we eliminate bulky insulation and coils which impede mobility and replaced them with hair-thin, micro fiber wires allowing for greater comfort and support. By connecting directly to your vehicle’s power source, you will have heat as long as you are out on the road. The polyurethane foam absorbs shock to make bumpier roads more comfortable. offers maximum support and flexibility. The contoured shape follows your foot’s anatomical form for maximum support, flexibility, and comfort. For serious riders looking for an insole that provides both heat and protection, these are the answer. 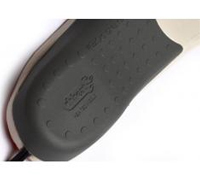 The 12V Heated Insoles are powered by the existing battery of your motorcycle and will provide heat as long as you're on the road. Simply connect the harness to the terminals on the battery and run the coax cable underneath the body leaving the connector plug exposed. This non-intrusive configuration allows you to maintain the same look and feel to your bike without cables interfering. 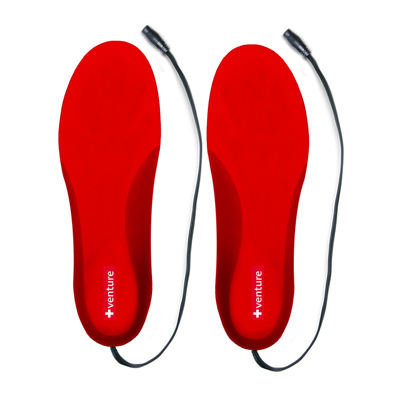 You can pair the Heated Insoles with the Heated Pant Liners or use them on their own using the included Y-Splitter Cable.